Just like the technical rider, the notation of the electronics should present all necessary information clearly in such a way that the work could be realized without the presence of the composer. Nina Young provides all the basic information in her score and notates the electronics in the score itself clearly and succinctly for the performer. A separate technical rider is provided that goes into precise details and allows the piece to be realized by a third party technician without any additional information from the composer. Mary Kouyoumjain provides a detailed Technical Rider in her score and notates the electronic component of the piece clearly. The electronic component is largely drone-like in nature, and is provided with a mixture of traditional and graphic notation. Kokoras uses the combination of stopwatch markings with the visual indications of the spectrogram in the score. This is most effective for pieces that do not require precise synchronization but more of a general idea of the electronic sound. Temple notates the electronics in a hybrid fashion - providing notes, words, and rhythms in traditional notation where possible and embellishing this traditional notation with graphic illustrations. More generalized instructions to a technician who acts as a performer of the electronics. Electronic sounds are worked into the performers staff as smaller notes with triangle noteheads. Saariaho uses two microphones with different processing and indicated which microphone the singers should be singing into in the score. Dynamic microphones use thick diaphragms and tend to accentuate the middle range of the frequency spectrum. These microphones tend to be highly durable and do not require phantom power. Condenser Microphones have thinner diaphragms than dynamic microphones and are therefor less durable but more capable of capturing high frequencies and generally record with a higher fidelity. Condenser Microphones require phantom power to boost the signal for recording. RIbbon microphones use a long and thin diaphragm and generally provide a more colored or warm quality in their recordings. Ribbon microphones are usually quite fragile and can difficult to use. Ribbon microphones, like Condensers, require phantom power. In Addition to Standard MIDI, the VST instruments that come with Logic use what they call “fader” values that may be automated but aren’t necessarily hooked up to a MIDI control. These faders can be found in the same way that you automate things like volume and panning on an audio track. Additionally you can connect them to a midi controller using the “midi learn” function. The difference between digital and analog synthesizers are that digital synths use digital processors and analog synthesizers use analog circuitry. The earliest analog synths typically used vacuum tubes, which were eventually replaced by transistors to create waveform oscillators, filters, and other sound processing modules. There is much debate over which sounds better, which is a highly subjective issue. Analog synths, especially older ones, tend to have a particular color to their sound, often described as a “warmth” or “individuality” and because they do not require a DAC, the fidelity of the sound will not be altered by this conversion to voltage from the digital realm. Digital synths tend to be more accessible, easier to use/record, and since the 1990s are able to be much more feature-rich than their analog counterparts. For example, granular and sample-based synthesis is much easier to realize with a digital synth and the number of oscillators and filters are essentially limitless on a modern CPU. Modular synthesis may involve any type of synthesis, with modules of waveform oscillators, Low frequency modulators, ADSR filters, and so on as possible modules. Most synthesizers are modular in design. An important part of nearly every synthesizer is the ADSR, or Attack-Decay-Sustain-Release, which provides the “shape” of the notes. Every sound could theoretically described as a combination of sine tones. This concept will be explored more in the class on spectral techniques, but is also the basis for additive synthesis. Filtering of a sound source, most often a wave form or noise generator. Typically, the sound source to be filtered (ie subtracted from) should be rich in harmonics, which makes it more useful to realize timbres using the subtractive method of synthesis. noise generator: white, pink, or brown noise - rich in spectral content and completely harmonic. In theory, white noise has an equal level of energy throughout the entire frequency spectrum. The above sound sources will then be filtered by low pass, high pass, comb, and other types of EQs as well as an ADSR (attack, decay, sustain, release) filter. The first digital synth of widespread popularity, the Yamaha DX7, used FM synthesis as devised by John Chowning. For FM synthesis you need two waveform oscillators, one to act as the carrier and the other as the modulator. The frequency of the carrier is modulated by the modulator, resulting in the original frequency plus sidebands that are the sum and difference between the carrier and modulator. Van Halen’s “Jump” features the DX7, which was also a favorite among contemporary composer like Gyorgi Ligeti because of its microtonal capabilities. A type of synthesis that uses a mathematical model to imitate the physical, acoustic creation of sound. The Sculpture synth is Logic is a physical modeling synth. Typically a physical model will feature modeled exciters (pluck, bowed, struck, scraped, blown, etc), sound source type (string, membrane, tube, etc.) and resonant body attributes (size, shape, material type, etc.). This type of synthesis is generally less developed and more “experimental,” though there are now a few commercial VST instruments that rely on physical modelling, the most successful among them is pianoteq, which features physical models of various pianos, harps, harpsichord, and steel drum that sound surprisingly realistic. The advantage of this approach is that, ideally, the synthesis will sound very realistic and varied beyond the possibilities of a sampler instrument while also being very light on hard drive space and CPU usage. In place of waveforms, these synthesizers generate sound using samples. The famous Lichtorgel that Scriabin wrote for is the earliest example of this in the analog domain, but the famous Mellotron instrument is also based on playing back a sample from magnetic tape. In logic the ESX sampler and electro-beat both have sample-based capabilities. Granular Synthesis is a particular type of Sample-based synthesis where an audio file is cut into very small “grains” of sound that can then be played back in a variety of ways. A grain can be anywhere from 30 milliseconds to several seconds in duration and their amplitude generally follows a curve or window function that cross-fades with other grains. Iannis Xenakis invented granular synthesis and first implemented it by cutting and splicing magnetic tape for his Analogique A-B for string orchestra and tape (1959). Granular synthesis is particularly adept for time freezing effect or to create interesting micro variations in a sustained sound. For this reason, granular synthesis is often used in video games for sound effects to create interactive wind, fire, and other environmental sound. This class focuses on spectral techniques in processing, analyzing, and editing audio. The studio computer has two pieces of software that work in this way: Spear (which is freeware) and Audiosculpt (part of Ircam suite). These programs are different from standard audio editing programs because they are based on FFT analysis of sound, which allows for different ways to filter and edit the sound. The faurier tranform is a method to analyze signals into their component parts that dates all the way back to 1805. For the purposes of audio, FFT will analyze a sound and break it down into its sinusoidal components. 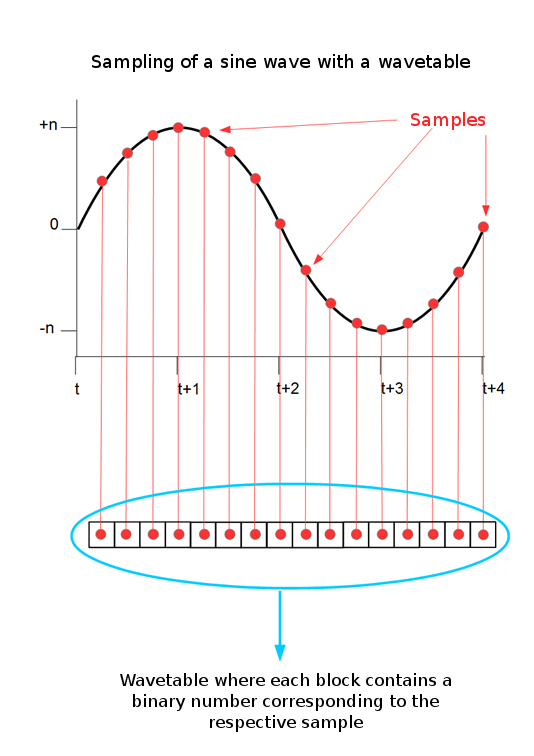 In FFT analysis these sine waves are considered to be infinite in time, and so the fft analysis must be applied to short grains of sound (windows) that are then recombined. FFT-based noise removal tends to be the highest fidelity way to clean audio, though it is very heavy on the CPU, especially when realized in real time. In class will compare noise gating, EQ filtering, and FFT noise removal as methods for cleaning noisy audio files. using Logic Pro for Live processing and synchronizing electronics. Review of scores, recordings, and technical riders.